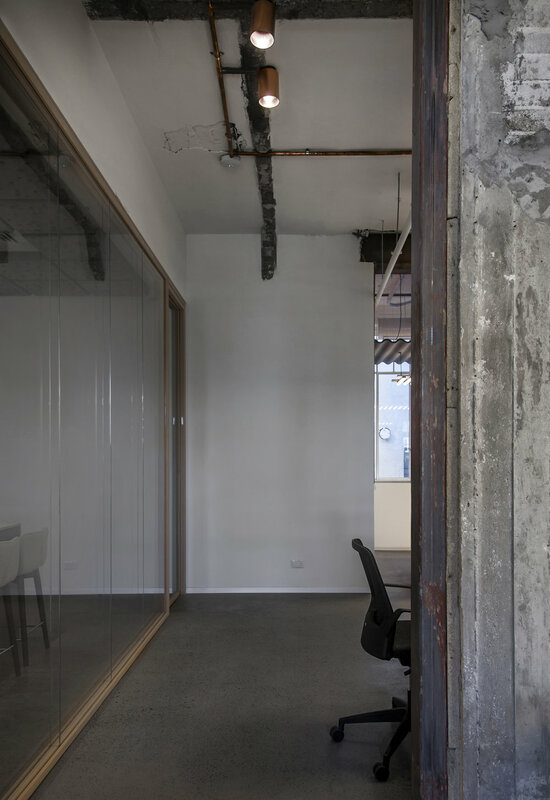 The 700 square-meter office is located in the heart of Tel Aviv city, in an area filled with bauhaus buildings and eclectic hybrid skyscrapers composed of historical structures and modern elements combined. Roy David Architecture was tasked with making the space habitable for the high tech, innovative venture capital named Aleph. The VC, is focused on partnering up with entrepreneurs from various disciplines to help scale them into large, meaningful companies and globally recognized brands. It is an Equal Partnership of Eden Shochat, Michael Eisenberg and Aaron Rosenson. Befitting the environment the building is in, the firm focused on preserving the historical values of the space and infusing modern elements throughout the design. 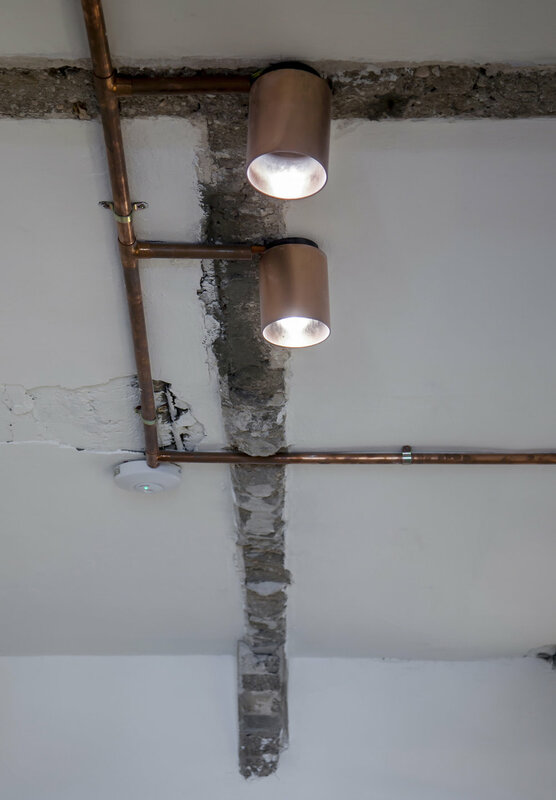 This process was emphasized by exposing the old foundations of the space, and highlighting the untreated concrete core walls and bold rusted metalwork. 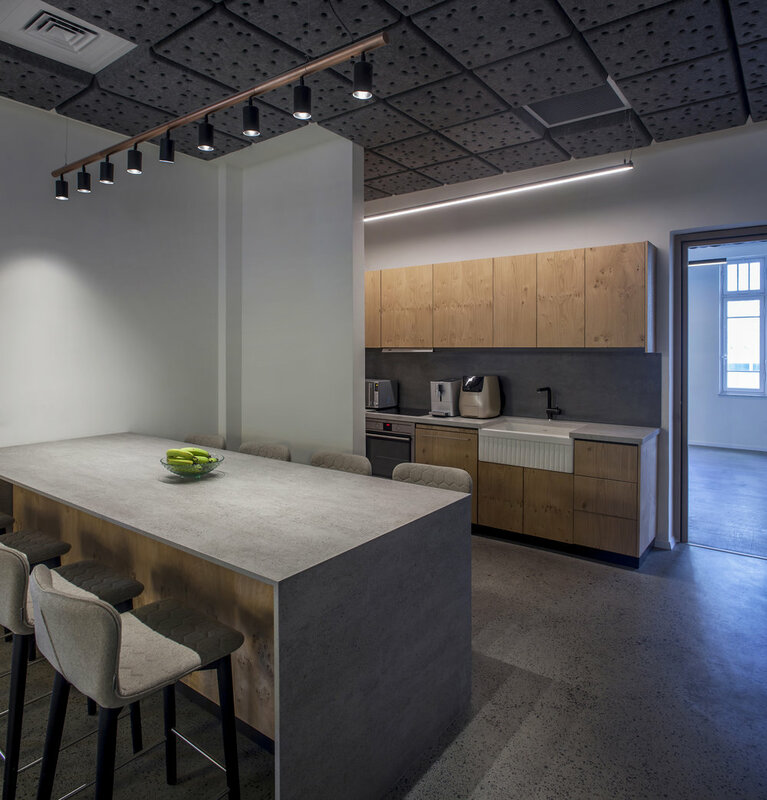 “The space is intelligently designed so that it provides the VC with all the amenities and needs of the client, as well as the needs of potential new ventures and their staff, that often reside with VC throughout the first few months. 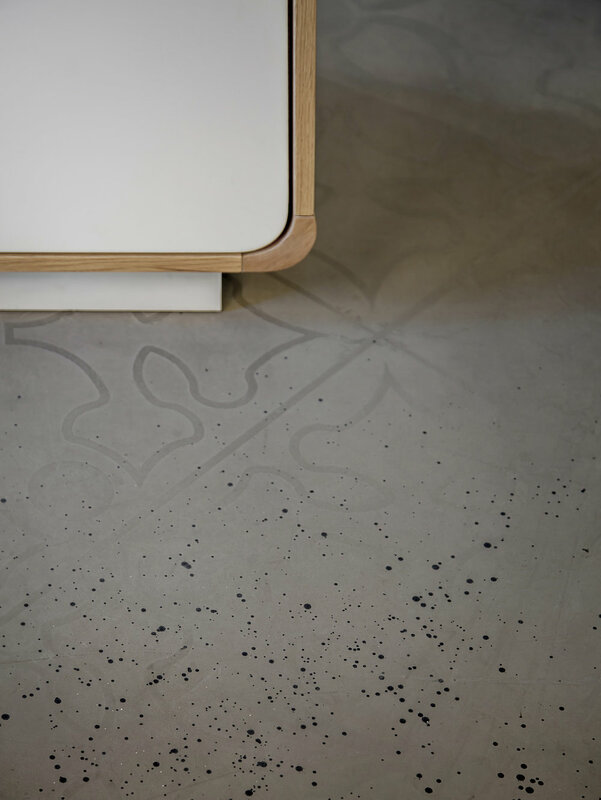 "We wanted to shift our design strategy so that the space would reflect the core values Aleph infuses in their mentality on a day to day basis. 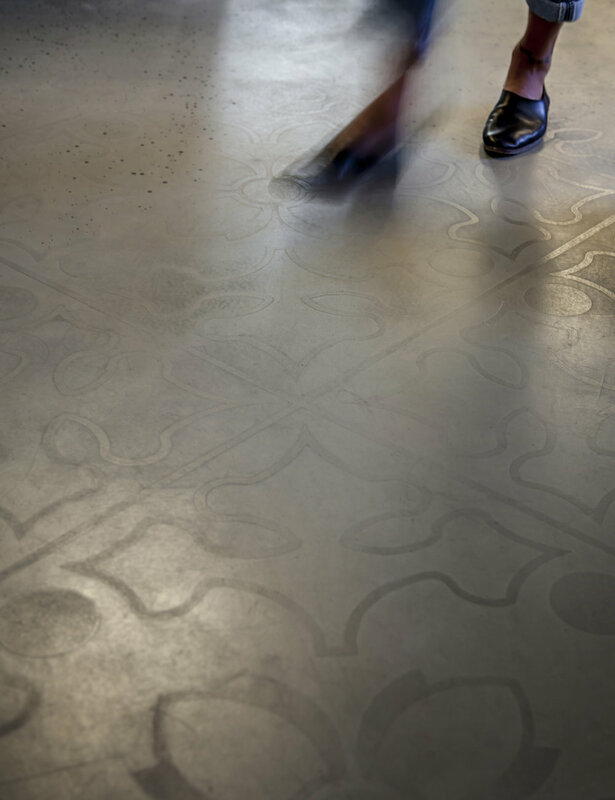 design that tells the story of the VC and the space, but allows for functionality above all else.” explains the architect and founder of Roy David Architecture, Roy David. The design strategy is well rooted in the planning of the space. Designing within the restrictions of preservation laws in the city, presented a lot of challenges that the architecture team had to solve in a small time-frame of just two months. As part of the overall design process the company wanted their layout to be open space. This strategy especially strengthened the values of the VC as the whole team, founders and team members alike shared the same space without any separation that could create hierarchy, resulting in an “all are equal mentality”. From specially calculated open acoustic barriers to a supra-structure of wooden acoustic partitions, each design element was added so that the company's brief was met fully. A creative addition of the compeny's slogan "different is better then better" was co.designed with the Israeli artist Ohad Benit. The piece was assembled by more then 1000 white plastic made human figures which Ohad brilliantly orchestrated into once of a kind art piece. 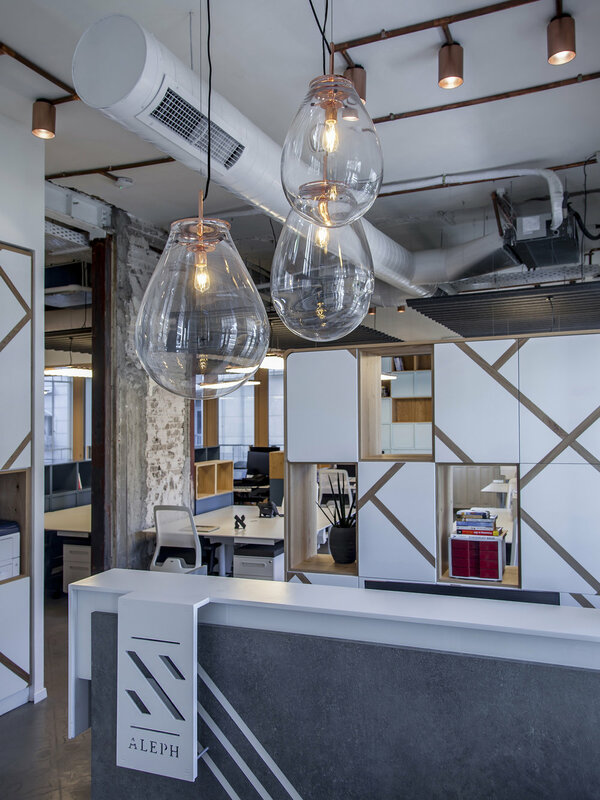 “It’s this contrast between a historical-modern atmosphere and high-end tailored made office that sets the space apart from any other project we did. With the use of concrete imprinted flooring, industrial metal elements, custom designed partitions, furniture and light fixtures the space is designed in a coherent language, resulting in a brand new , perfectly fitted home for the VC, that is dictated by the core values of the client and the architecture studio’s vision” ,adds the architect, Roy David.